This page tells you how to Donations to Other Organisations via Action Bequia. 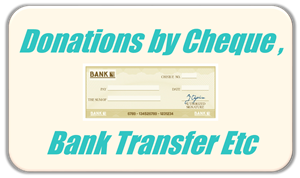 Donations can be made either online, or by sending cheques or making transfers to banks in the US, UK or Bequia. For a one-off online payment, please click the first button below. To set up recurring monthly payments online, please click the second button below. 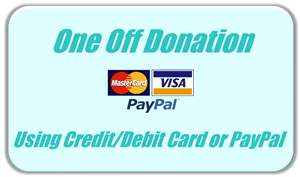 Please note that monthly payments from UK based donors can be made by setting up a standing order from a UK account to Action Bequia’s (Lloyds) Sterling account. Press the third button below to get the sort code and number of this account. For bank details and relevant tax oriented information for cheques, bank transfers, standing orders etc, please click the third button. 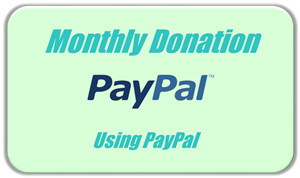 Monthly donations can be cancelled at any time and require a PayPal account which is simple to set up if you have an email address and a credit/debit card (PayPal is a wholly owned subsidiary of eBay, and operates a very secure payment system). Regardless of the online payment method chosen, Action Bequia does not store your financial information.